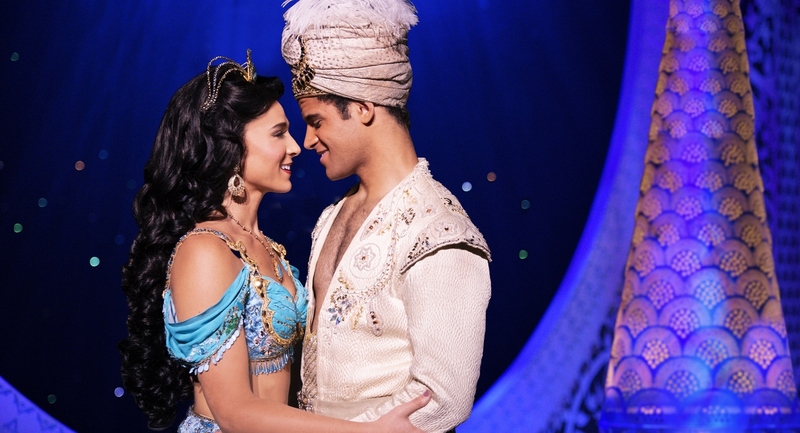 Lissa deGuzman and Clinton Greenspan star in “Aladdin,” which runs at the Fox Theatre Sept. 12 through 23. Photo by Deen van Meer. This weekend in Atlanta many residents are excited to welcome some of fall’s favorite events just ahead of the official start of the season. Back at Piedmont Park is one of the city’s largest music festivals, Music Midtown. Outside the city the East Cobber Parade and Festival and the Roswell Arts Festival are annual favorites taking place Saturday and Sunday. Atlanta Ballet presents its first show of its new season, a mixed repertory program, at the Cobb Energy Center, and over at the Fox Theatre Disney fans won’t want to miss “Aladdin,” which is in town for two weeks. Art enthusiasts can enjoy a laid back stroll through Castleberry Hill on Friday or a more formal museum exhibit featuring works by visual activist Zanele Muholi, which opens at Spelman College the same day. For the kids, Georgia Ensemble Theatre presents the stage show “A Wrinkle In Time” over the next three Saturday mornings at the Roswell Cultural Arts Center. When: Sept. 15 and 16 from 10 a.m. to 5 p.m.
What to Expect: This annual festival touts artists and local entertainment, children’s activities, food trucks, and a healthy dose of small town charm. Visitors are encouraged to park at City Hall and take a free shuttle to the event. When: Sept. 15 from 12 to 11 p.m., Sept. 16 from 12 to 10 p.m.
What to Expect: Music Midtown 2018 features headliners Kendrick Lamar, Imagine Dragons, Post Malone and Fall Out Boy. Atlanta Ballet presents “Return to Fall” at the Cobb Energy Performing Arts Centre Sept. 14 through 16. Photo by Rachel Neville courtesy of Atlanta Ballet. When: Sept. 14 through 16: Friday and Saturday at 8 p.m., Saturday and Sunday at 2 p.m.
What to Expect: Atlanta Ballet opens its season with a mixed repertory program at the Cobb Energy Centre. The show features “Return to a Strange Land” by Jiří Kylián, a world premiere by Ricardo Amarante, and a special guest performance by the Czech National Ballet. The program also includes two classical short works: the Grand Pas de Deux from “Don Quixote” and “Tchaikovsky Pas de Deux” staged by Balanchine protégé and beloved Atlanta Ballet Artistic Director Emeritus, Robert Barnett. When: Sept. 15 through 29: Saturday at 11 a.m.
What to Expect: It was a dark and stormy night. Out of this wild night, a strange visitor comes to the Murry house and beckons Meg, her brother Charles Wallace, and their friend Calvin O’Keefe on a most dangerous and extraordinary adventure – one that will threaten their lives and our universe. When: Sept. 12 through 23, Tuesday through Thursday at 7:30 p.m., Friday and Saturday at 8 p.m., Saturday at 2 p.m., Sunday at 1 and 6:30 p.m.
What to Expect: This touring show is based on the classic Disney movie. Don’t miss this theatrical event where one lamp and three wishes make the possibilities infinite. When: Sept.14 from 7 to 10 p.m.
What to Expect: Come stroll and shop through Castleberry Hill, Atlanta’s historic arts district, during this monthly event. Neighborhood businesses and restaurants are open throughout the evening. “Somnyama Ngonyama II, Oslo” (detail), © Zanele Muholi, 2015. Courtesy of Stevenson, Cape Town/Johannesburg and Yancey Richardson, New York and Spelman College Museum of Fine Art. 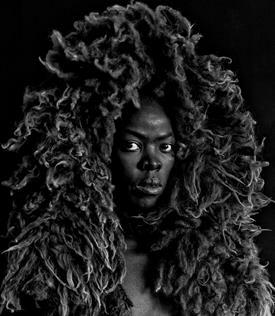 Exhibit: Sept. 14 through Dec. 8: Tuesday through Friday from 10 to 4 p.m., Saturday from 12 to 4 p.m.
What to Expect: In more than 70 photographs, visual activist Zanele Muholi, whose pronouns are they, them, and their, uses their body as a canvas to confront the politics of race and representation in the visual archive. On Friday at 7 p.m., the Museum presents “Art Papers LIVE: Zanele Muholi,” a conversation and reception, in partnership with Art Papers and Atlanta Celebrates Photography. On Sunday at 3 p.m., join Zanele Muholi for an artist-led tour of the exhibit. When: Sept. 15 from 10 a.m. to 3 p.m.
What to Expect: Enjoy a one-mile parade down Johnson Ferry Road that kicks off at 10 a.m. at 1223 Johnson Ferry Road and ends in the parking lots at Johnson Ferry Baptist Church. The festival features arts and crafts, local businesses, food concessions, carnival games, and an entertainment stage.